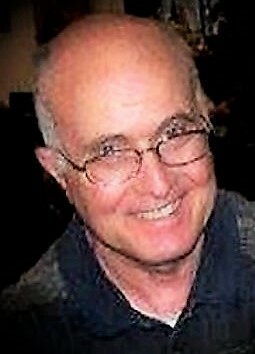 Publishers Daily Reviews was founded in 2015 by Don Sloan, a professional writer, editor and book reviewer. He has published three books of fiction — The Sisters, The Horror Hunters, and The DeathBorn (coming in 2019), and has also published two nonfiction books — 200 Ways to Get the Reviews You Need and Ten Steps to Living Stress-Free. He currently lives in the mountains of Western North Carolina with his wife of 41 years. She teaches at-risk youth at the county high school. He started a Habitat for Humanity affiliate 10 years ago in the community and is proud to say the affiliate has completed five new houses and is nearing completion on a sixth one. In addition, the affiliate has remodeled and rehabilitated a doxzen other homes and helped dozens of elderly residents make much-needed repairs through its Brush With Kindness program. Habitat for Humanity’s goal is to make a difference for disadvantaged families in the gh Country, one house at a time. Don is a monthlyHi contributor to the prestigious Midwest Book Review, has served as a contributor to BlueInk Review, and frequently helps writers who want national attention get placed in the New York Review of Books. Don has been joined recently by an acclaimed colleague from the Midwest Review of Books, Diane Donovan. Writers and authors may interact with — and be reviewed or edited by — Ms. Donovan. Her incisive, compelling reviews have been noted — and quoted — in major publications around the world. At last count, she says she has worked with over 300 publishers on more than 50,000 books in more than 35 years in the industry. It is a pleasure to welcome Diane as a contributing reviewer and editor on Publishers Daily Reviews.